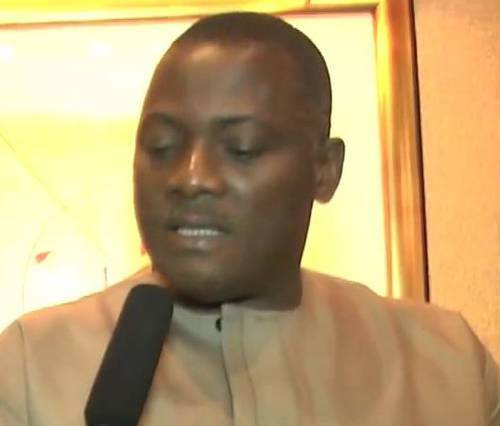 Mr. Innocent Chukwuma, the Anambra-born industrialist and Chairman of Innoson Nigeria Limited, may have succeeded playing the victim with his arrest, on Tuesday, by the Economic and Financial Crimes Commission (EFCC), but there are clear indications that he attempted to defraud Guaranty Trust Bank (GTBank) through forgery of documents. Mr. Chukwuma was released on bail on Thursday. Part of Mr. Chukwuma’s success manifested in his arrest being promoted as an ethnically biased move as well as one to hamper a local industrialist. 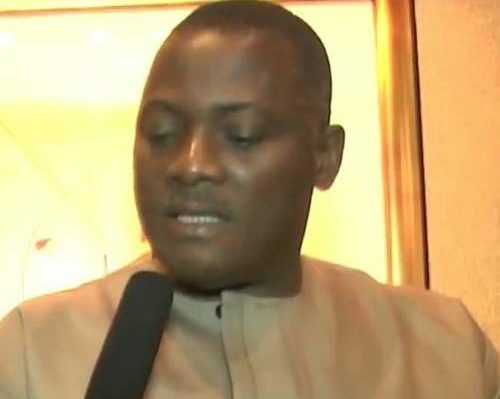 Mr. Innocent Chukwuma, the Anambra-born industrialist and Chairman of Innoson Nigeria Limited, may have succeeded playing the victim with his arrest, on Tuesday, by the Economic and Financial Crimes Commission (EFCC), but there are clear indications that he attempted to defraud Guaranty Trust Bank (GTBank) through forgery of documents. Mr. Chukwuma was released on bail on Thursday. Part of Mr. Chukwuma’s success manifested in his arrest being promoted as an ethnically biased move as well as one to hamper a local industrialist. 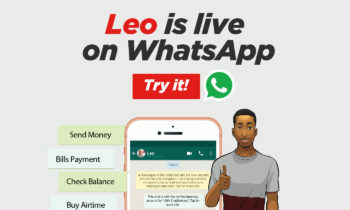 Social media platforms have continued to fizz with this narrative, with many users threatening to close their accounts with GTBank and urging others to do same. GTBank, Chukwuma’s supporters argued, is out to do Mr. Chukwuma and Innoson Motors in because of his ethnicity. 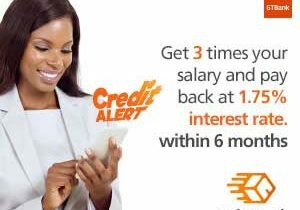 The saga dates back to 2009, when GTBank, with which Innoson Motors is a customer, granted the auto assembly company a series of credit facilities totaling N2.4 billion. 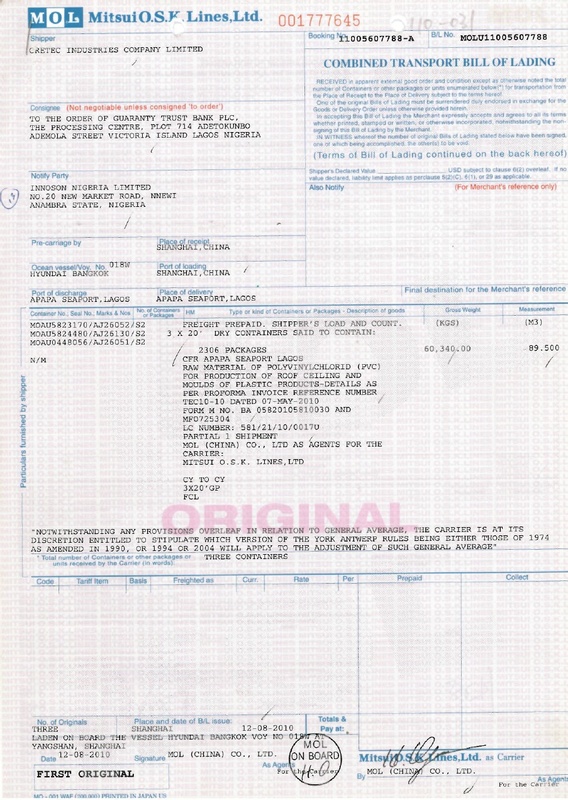 The loans represented part-finance and working capital for the importation of new motorcycles, motorcycle spare parts, agricultural machinery spare parts and plastic manufacturing equipment. Sources told SaharaReporters that under the loan terms agreed by Mr. Chukwuma on behalf of Innoson, proprietary interest in the imported items was exclusively consigned in favor of the GTBank. 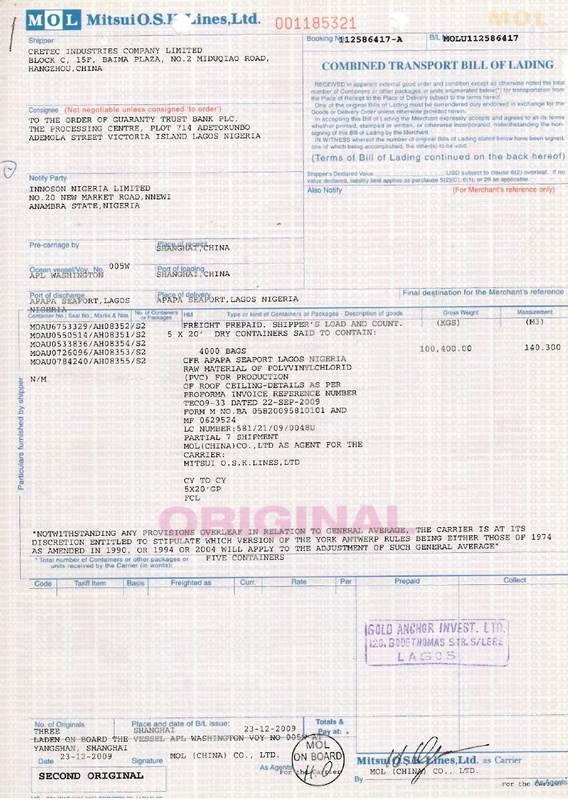 This, in strict terms, means that the bank owned the imported goods. 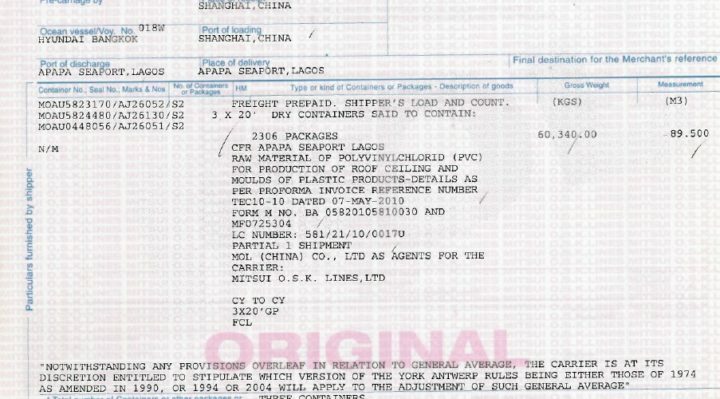 As such, the original shipping documents (Bills of Lading), exclusively obtained by SaharaReporters, sources further disclosed, were duly held by GTBank and remain in its possession. On account of the bank’s exclusive ownership of the goods, explained those knowledgeable about the transaction, only it can transfer ownership to Innoson or any other party. A condition in the loan agreement for the release of the goods by the bank to Innoson was the payment of 25% of the value of each Letter of Credit transaction by the auto assembly company. 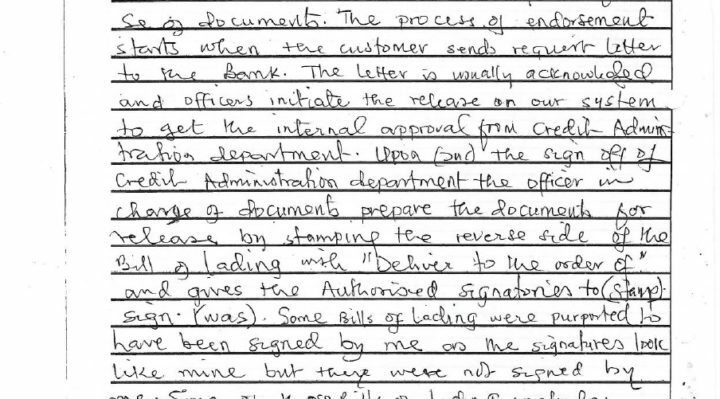 SaharaReporters learned the Mr. Chukwuma, on behalf of Innoson, approached GTBank requesting the release of the shipping documents without fulfilling the condition requiring him to pay payment the agreed 25% of the value of each letter of credit. On account Innoson’s failure to meet the condition in the agreement, the bank turned down the request. What followed stunned and riled the bank. 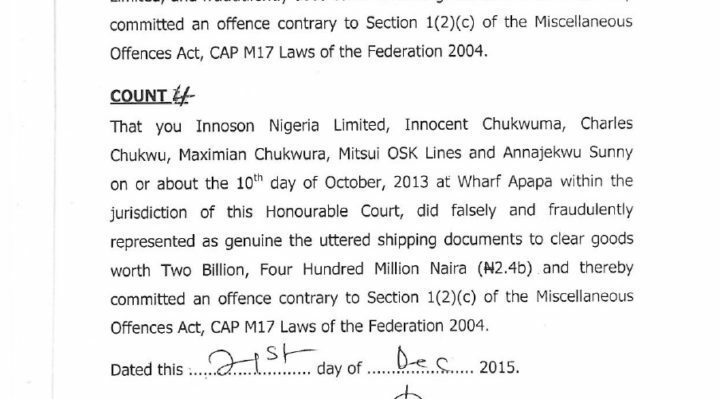 It discovered in June 2011 that the shipping documents for goods it declined to release to Innoson because of its failure to meet the agreed conditions had fraudulently been obtained by Innoson. 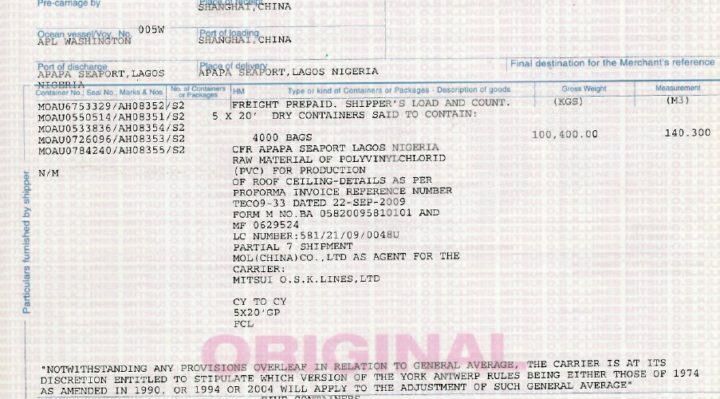 SaharaReporters learned that Innoson, on the instruction of its Chairman, had forged GTBank’s endorsement on the Bills of Lading to the shipping line, fraudulently clearing the imported items, which consigned to the bank. This means that being the property of the bank, the items should never have been cleared from the ports without the bank endorsing the original shipping documents in favor of Innoson or any third party. 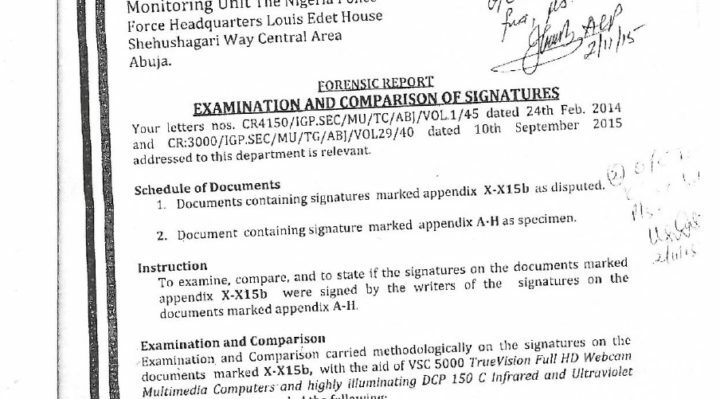 What Innoson did, revealed sources, was to forge the signatures of Messrs Taofeek Olalere, Dan Attah, Bunmi Adeyemi and Amazu Amalachukwu, all GTBank staff, as well as the bank’s stamp on all the shipping documents to clear the goods at the ports. Insiders said the bank never endorsed or transferred the shipping documents to Innoson, as their original copies remain in the bank’s possession. Displeased, the bank reported the matter to the Police, to which, insiders further said, Mr. Chukwuma told that the documents were released to him by the bank. 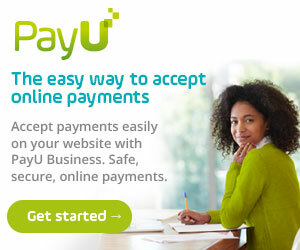 The Nigerian Police launched an investigation into the bank’s complaint. 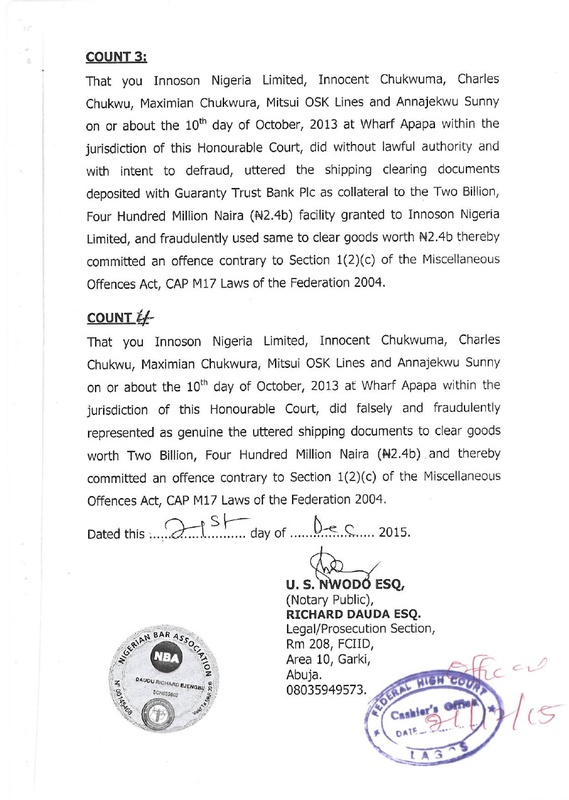 This took in a forensic examination of the signatures on the documents and established that they were forged by Mr. Chùkwuma and his accomplices to fraudulently clear the goods the Nigerian Ports Authority (NPA). 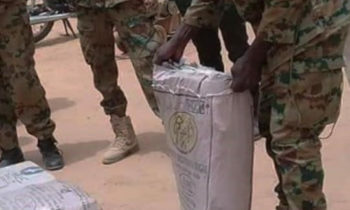 Police sources said what they knew was that Innoson and Mr. Chukwuma deliberately designed a scheme to steal from the goods from the bank through forgery and misrepresentation. The theft of the goods, which served as the bank’s collateral, left a debt in excess of N1.6billion as at September 26, 2012. The Innoson Chairman was arrested and interrogated the EFCC. After the interrogation, EFCC sources disclosed, he agreed to make monthly payments into Innoson’s account until his company’s indebtedness to the bank is completely liquidated. However, that agreement was breached, said sources. 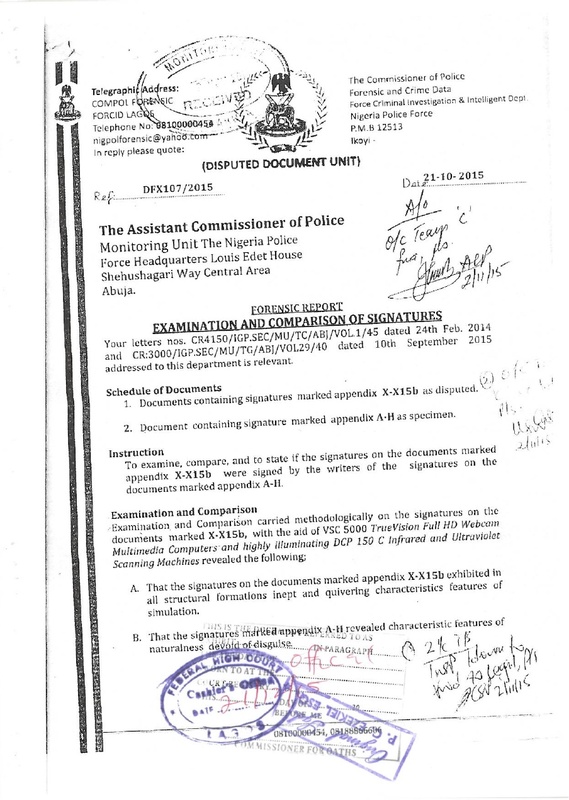 In September 2013, GT Bank expressed its disappointment by petitioning the Police, which deemed Mr. Chukwuma culpable. He was subsequently charged to court. The case (No. 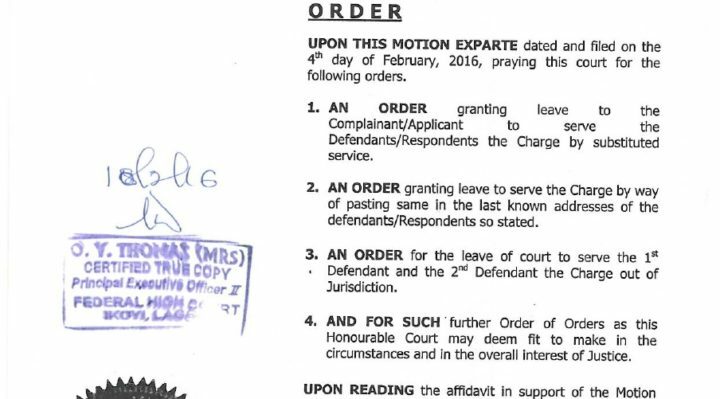 FHC/L/565C/2015) is currently pending before Justice J. Faji of the Federal High Coury, Ikoyi, Lagos. 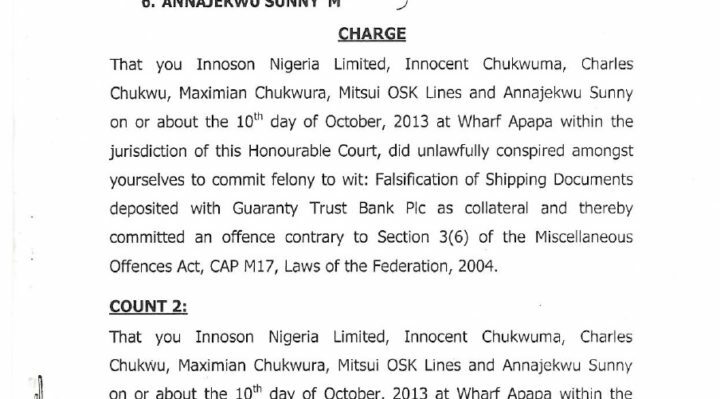 The Police slammed charges of fraudulent clearance of goods, forgery, illegal conversion, stealing and conspiracy on Innoson Nigeria Limited, Mr. Chukwuma, Charles Chukwuma, Maximian Chukwura, Mitsui Osk Lines and Annajekwu Sunny. At the last proceedings, the matter was adjourned to November 21, 2017 for arraignment/or hearing of a motion for issuance of Bench Warrant. Innoson would later approach GT Bank for a reconciliation of his account and pleaded for debt forgiveness. The bank agreed and reconciliation was carried out on the account, which had a debit balance of N1,654,481,895.04 as at December 31, 2011. On account of the conciliatory posture by Mr. Chukwuma and EFCC intervention, GTBank, said authoritative sources, agreed to forego the N559m, which represented default charges that had accrued on the account and debited in line with the loan agreement it and Innoson. 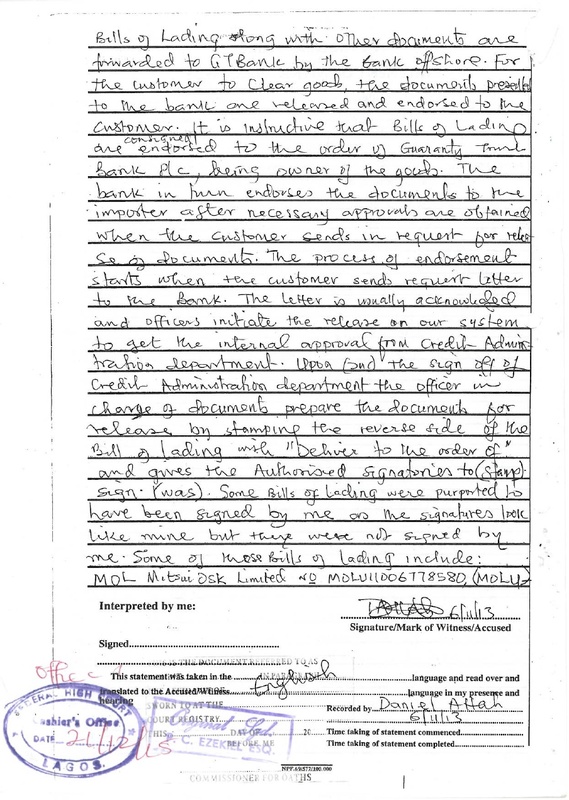 On the basis of this, the bank decided to accept from Innoson the sum of N1.095billion as full and final payment of the company’s indebtedness to the bank with the proviso that it must be paid in full not later than (30) days from the date of the letter written conveying the decision was written to Innoson. Innoson, however, would stun the bank again when it filed a suit (No: FHC/AWK/CS/2012) against the bank at the Federal High Court, Awka, Anambra State, claiming that its account with the bank had been debited for excess charges totaling N559,374,072.09. 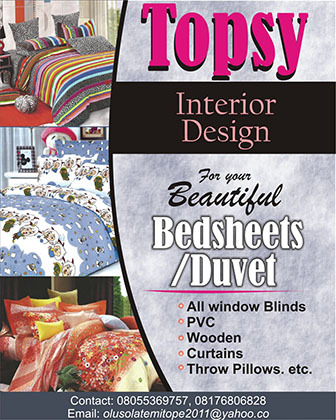 He obtained a judgment in excess of N4.7billion against the bank from a judge said to be his ally. This was despite breaching the amicable agreement between the company and the bank for a full and final settlement of N1,095,107,822.95, which saw the bank forgo the sum of N559,374,072.09, which accrued on its account during the period which he abandoned it. 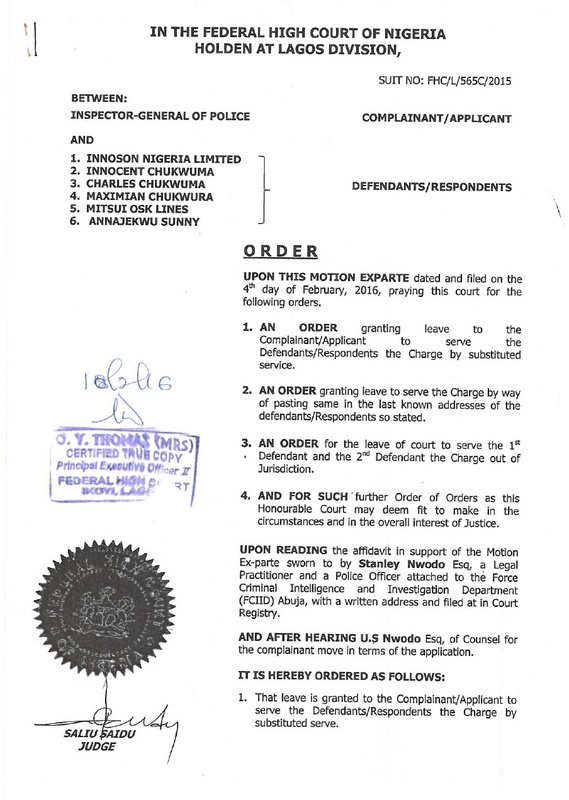 To stall the criminal proceedings against him and his company, Mr. Chukwuma instituted suits at the Federal High Court, Abuja, as well as the Federal High Court, Awka in January 2014 against the Inspector- General of Police, Nigeria Police Force and investigating officer(s), seeking declaratory and injunctive reliefs, including orders restraining the Police from commencing criminal proceedings against him and his company. 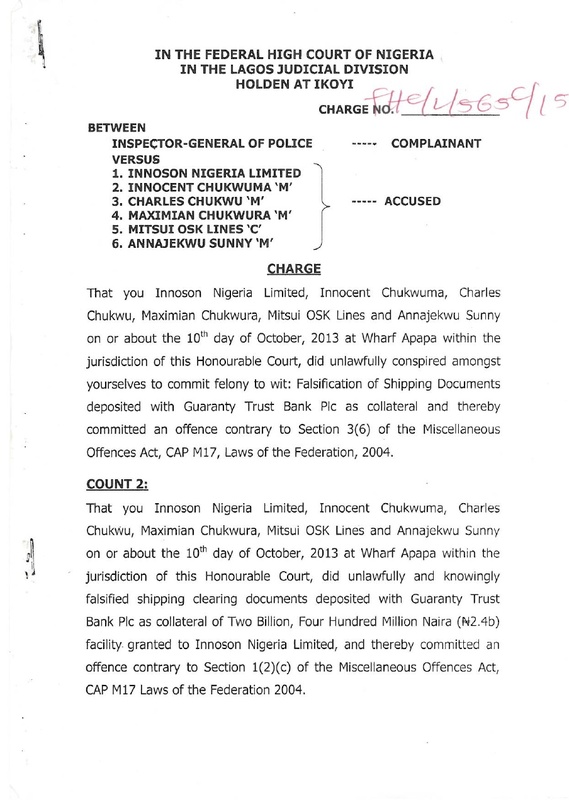 To thwart the bank’s recovery bid as well as distract it from focusing on the criminal action and civil actions filed for recovery of the debt, Mr. Chukwuma and his company, revealed sources, have continued to institute lawsuits before various courts, claiming frivolous and outrageous sums against the bank. Giving reasons for Mr. Chukwuma’s arrest, the EFCC, in a statement signed by Mr. Wilson Uwujaren, its spokesman, Mr. Chukwuma refused to respond to invitations by the commission after initially being granted administrative bail by the commission, while his surety could also not be found. He was also said to have resisted arrest. “Unfortunately, the industrialist resisted arrest and stirred controversy by bringing six truck-loads of thugs to block the entrance to his Plot W1, Industrial Layout, Abakaliki Road, Emeni, Enugu, home. “This was after he initially misled the Police Command by informing them that his home had been invaded by armed robbers and kidnappers despite the fact that operatives of the commission duly identified themselves to policemen guarding his home,” said the EFCC. His thugs added the commission, assaulted its operatives, forcing the EFCC to call its Enugu office for reinforcement. “In all of this, the commission’s operatives acted with decorum and civility. No one was manhandled or assaulted by the EFCC team and not a single shot was fired, despite the provocation. “The industrialist, among other infractions, allegedly used forged documents to secure tax waivers,” said the commission. GT Bank, on Thursday, released a guarded statement, saying it would not want to speak about some of the allegations because they are already before the courts. It, however, maintained that it would take necessary legal steps when its rights are infringed upon. What the bank did not say, explained sources, was that in responding to Innoson’s motion for a stay of criminal proceedings at the Court of Appeal, Justice J.S Ikyegh, on September 17, dismissed the motion as unmeritorious and ordered that proceeding in the criminal case against Innoson should proceed. On October 12, the Police filed an application (No. FHC/L/565C/2015) for the issuance of bench warrant against Mr. Chukwuma, Charles Chukwuma and Annajekwu Sunny for fraudulent clearance of goods, forgery, conversion, stealing and conspiracy presently pending before Federal High Court, Ikoyi, Lagos. The current hoopla quickly became political as Mr. Chukwuma mobilized lawmakers in the Senate who in turn began pushing an ethnic narrative over his arrest and detention by the Economic and Financial Crimes Commission. Sources told Saharareporters that Mr. Chukwuma had become a law unto himself, using political connections to circumvent official scrutiny. They said during ex-President Goodluck Jonathan’s era, Mr. Chukwuma was untouchable. During one of his court cases in Lagos, A federal judge who appears to be at his mercy of Mr. Chukwuma’s lawyers Justice Saliu Saidu of the Federal High Court in Lagos had to warn him that he would not be intimidated. After his arrest by the EFCC, the forces against the anti-corruption Czar, Ibrahim Magu at the Nigerian Senate came out of the woodworks, even with the Senate President, Bukola Saraki making a ridiculous assertion with a rhetoric question on the floor of the Senate wondering if the FBI would intervene in a dispute between Ford Motors and an American bank. The worsen the case of official collusion with Mr. Chukwuma, the Attorney General of the Federation, Abubakar Malami claimed he had not been briefed about Mr. Chukwuma legal issues, but a cursory check shows that the police is prosecuting Chukwuma through the office of the AGF. Yesterday, a lawsuit filed by lawyers before Justice Rabiu-Shagari of the Federal High Court in Lagos by Mr. Chukwuma’s lawyers challenging his detention through a fundamental rights enforcement lawsuit was curiously withdrawn by his lawyers, a sign that he had achieved his objectives using his political connections to bully his bank and browbeat the courts and law enforcement agencies investigating the case of forgery against him.